​“The Civil War Collection" Entrenched in a conflict over slave labor, the industrialized North and slave-powered South of the mid-1800s became entangled in the only war to be waged between Americans on U.S. soil. The Civil War, infamously known as the bloodiest military conflict to date, engaged three million Americans, claiming the lives of over half a million. 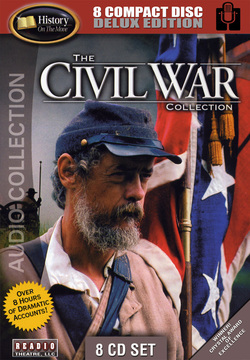 The long march from Secession to Southern Reconstruction comes to vivid life with The Civil War Collection, a riveting audio documentary that leads the listener on a compelling historical timeline chronicling America's insurrection. History buffs and educators alike will marvel at these peerless recordings offering unmatched scope and accuracy. From Fort Sumter to Appomattox, The Civil War Collection is a uniquely valuable testament to the tumultuous era of Lincoln and Lee. I am a student of history and because of the impact the Civil War had on America, the subject captivates me. This series, so well written and superbly narrated, brings you into the battles, the intrigue, the politics, the quirks and strengths of personality. Occasionally I take long road trips and that is why I bought this series. The scholarship and the humanness of the series is top rate and I would recommend it to all. I detected no revisionist history, just a faithful recitation of events as they unfolded. Well done. ​"Lewis & Clark - The Great American Expedition" With Thomas Jefferson's purchase of the vast Louisiana Territory, the U.S. President was one step closer to realizing his dream of a nation spanning the oceans. The next step was exploration of this new geographical possession. Thus began the unbelievable 4-year odyssey chronicled on 8 audio compact discs in Lewis & Clark: The Great American Expedition. When Meriwether Lewis joined William Clark to jointly head the Corps of Discovery, their quest would lead to an enduring record of happenstance, heartbreak, and hope. Featuring unforgettable exploits and indelible characters such as Sacagawea, the young Shoshone mother who led the Corps upriver in 1805, this is an audio treasury of courage and adventure. 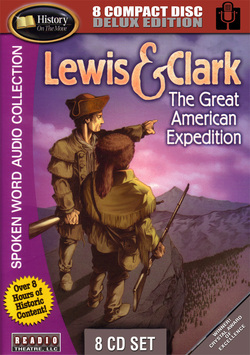 A full cast of audio performers presents the Lewis and Clark Expedition in a series of eight stand-alone productions suitable for broadcast. Taken from the diaries of Meriwether Lewis and William Clark, as well as from those of several other members of the Corps of Discovery, the series follows the explorers from the creation of the Corps to its members' final resting places. Different voices lend realism to the stories. 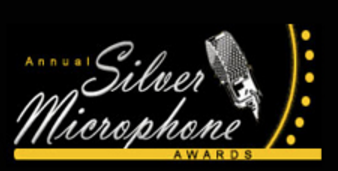 Music and special effects sometimes obscure the spoken word. Still, for a middle school audience, this production would make the story more fun than dull. 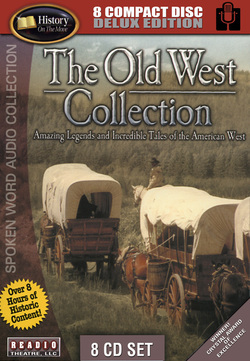 ​"The Old West Collection" The mythical legends and historical allure of the old west come galloping onward with The Old West Collection: Amazing Legends and Incredible Tales of the American West. This thundering 8-CD audio compendium celebrates the epic events of America's frontier, whether rediscovering the California gold rush at Sutter's Mill in '49 or recreating the outsize personalities of John Jacob Astor to Belle Starr and Billy the Kid. From racing on horseback for Oklahoma land in '89 to Dodge and Last Chance Gulch, The Old West Collection sits you around the campfire vividly recounting the saga and stories of a dusty, velvet-trimmed era. 5 Stars of a 5 Star Rating. An outstanding collection on the Old west. The format is well thought out, editing is good overall, and content is about right. The series use of actors to read material (diaries, letters,and newspaper articles) gives you a good idea of what life was truly like during the period.